Exactly one week ago I was languishing in an impromptu vacation, hotel life and exploring the fabulous city of Boston. For as long as I can remember there was never a need or a wanting to go to Boston, even though it has so much history, I preferred to skip town to sunny Miami or dream about a pool lounge escape in Palm Springs. But when my husband had a work conference pop up, we decided to leave town a few days earlier to make a long weekend out of it- especially since we both had never been before. Let me tell you- I was shocked at how much I loved this city! The gorgeous brick facade on everything, the costumed men and women hurriedly crossing the streets on the Freedom Trail rushing to some secret appointment, the people were so friendly, the way the city is incredibly walkable- I did my fair share, and what I think I loved the most was exploring as much as I could of this famed city. I walked, and I walked, and I photographed and I walked some more until my very last day in Boston, and only then did I feel like I truly took this city in from end to end. The Freedom Trail: this must-do is where you really get to learn about Boston's incredible history. 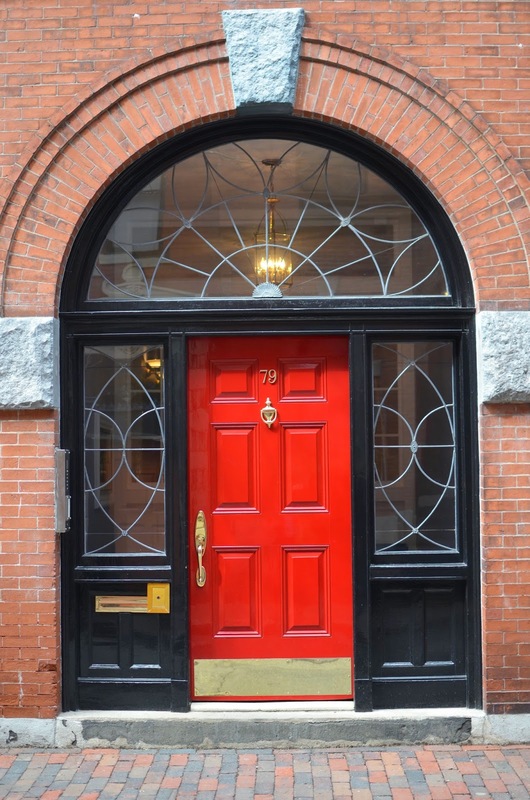 Follow the red-brick walking trail that loops around downtown Boston on this 2.5 mile history walk- with 16 locations significant to the history of the United States. I was privy to see fabled places like Paul Reveres home, Boston Common- America's oldest public park, but my favorite was taking in the grandeur of the harbor where the Tea Party movement began. 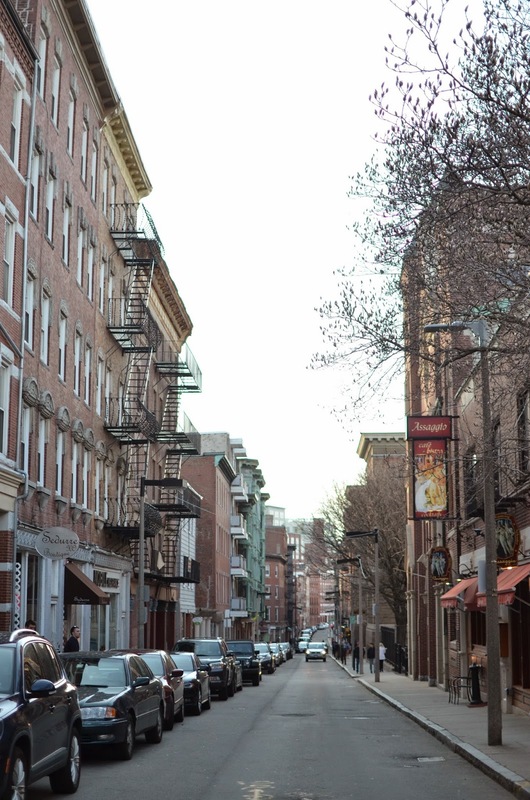 The North End: I was introduced to this quaint little area full of life, old-school Italians, brick storefronts and cannoli shops at every corner during my Freedom Trail walk. As most big cities do- Boston also had a Little Italy, the differentiator was the melt-in-your-mouth good cannoli shops. One in particular changed my view on these flaky morsels- Mike's Pastry. If you do make it out there don't be deterred by the line, just walk right past it, and head up to the counter to order. The outpouring of people are the ones looking at the pastries but not yet ready to order. I ordered a slice of Boston cream pie, naturally, and a strawberry and limoncello cannoli. The strawberry cannoli changed my life. 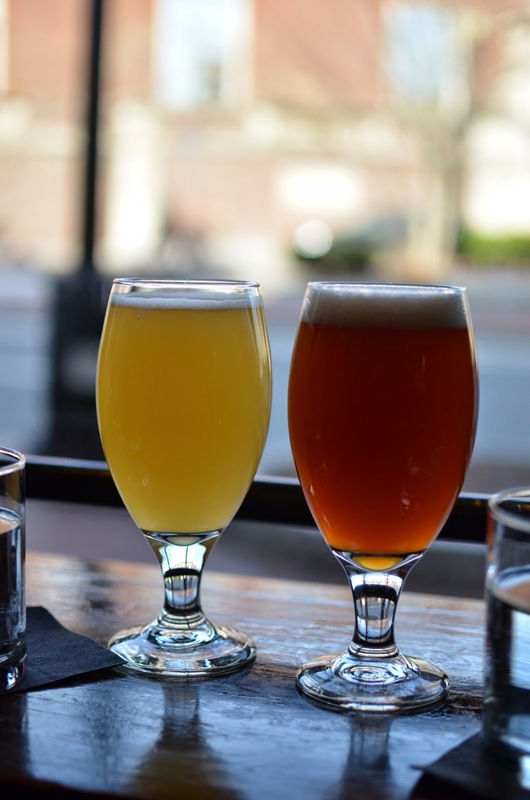 Beacon Hill: I guess you could say Beacon Hill is somewhat akin to what the Upper East Side is to Manhattan. 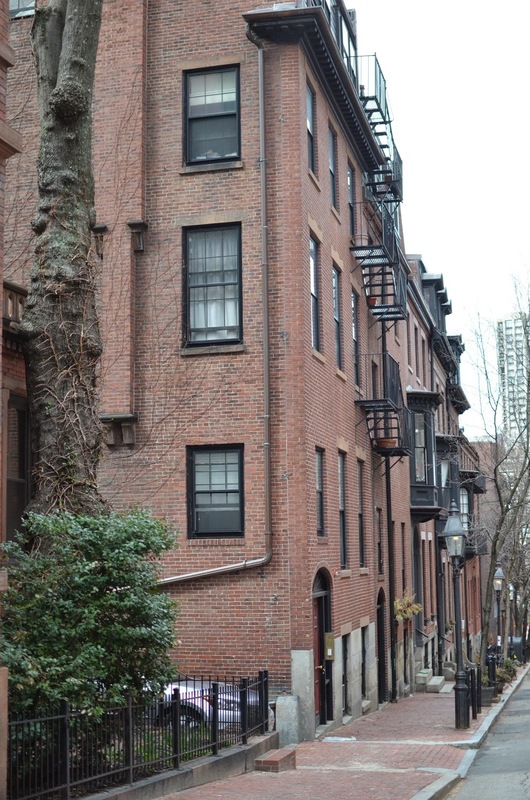 The Beacon Hill neighborhood is stunning. Old colonial brick row houses with the most gorgeous window boxes filled to the brim with blooming flowers, brilliant front doors, and little alleyways so small that only a single lane of cars would be able to squeeze past. I went to visit in the middle of the day when I barely saw another tourist taking in the scene. 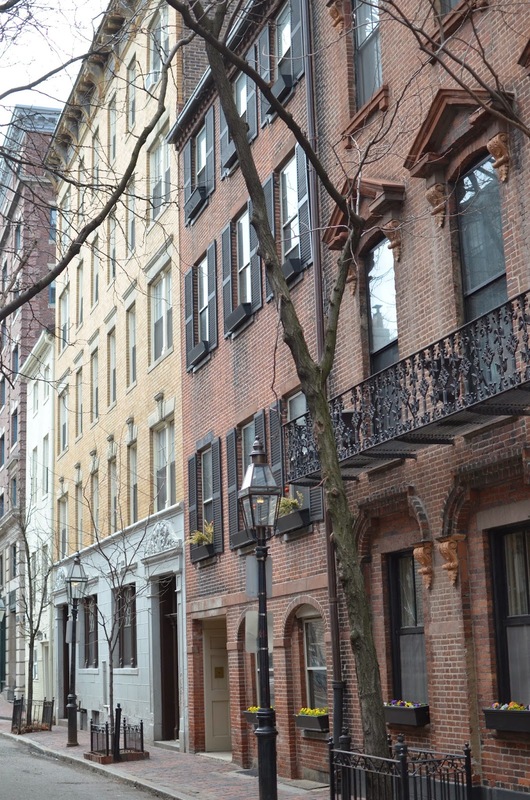 Check out Acorn street- it's the most frequently photographed street in the US, apparently. 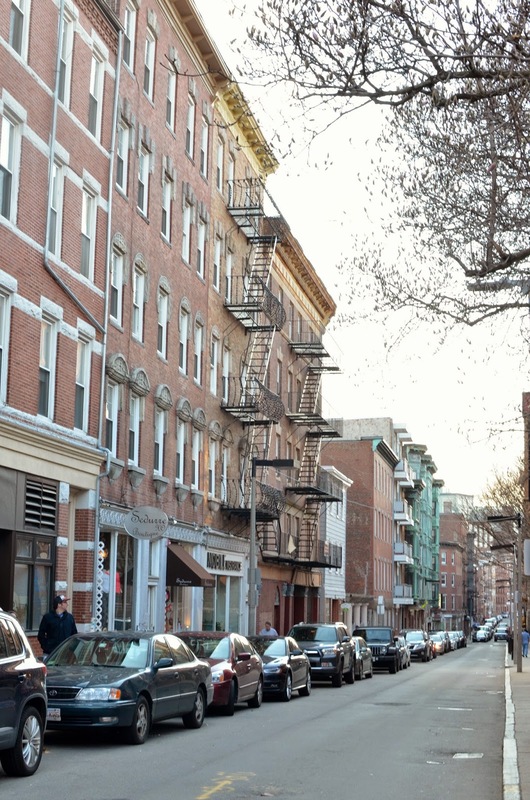 Newbury Street: When I first asked for suggestions on what to do in Boston an overwhelming response to this question was Newbury Street. It's a 8-block stretch of storefronts, restaurants, and most importantly it's a lot of eye-candy- on the street and in the windows. If this town had a Real Housewives of Boston this is where they'd all hang out for lunch, and then do a little damage over at Valentino. I managed to keep my rent money and didn't buy a whole lot, but did jump up and down when I found Shake Shack on this street! 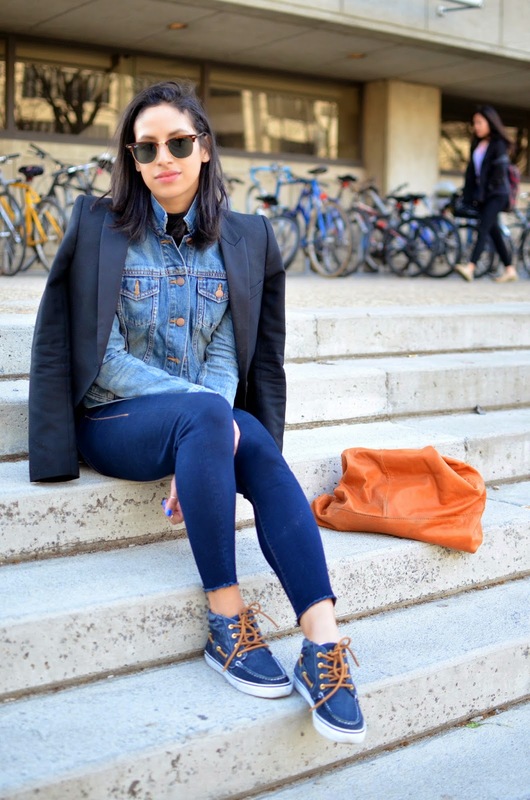 Love how you layered. Perfection as always! Both looks are perfect for this still chilly spring weather we are having, and I really love your grey asymmetrical jacket! It was so chilly still! 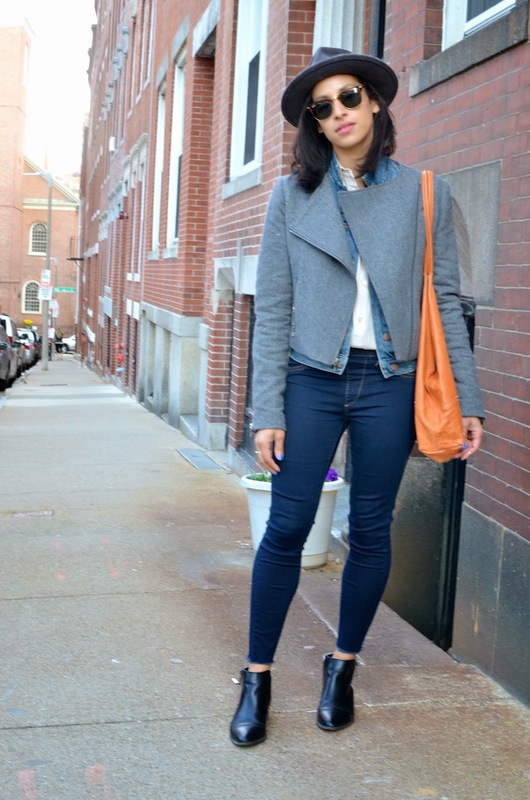 Layering is so key to this time of year! 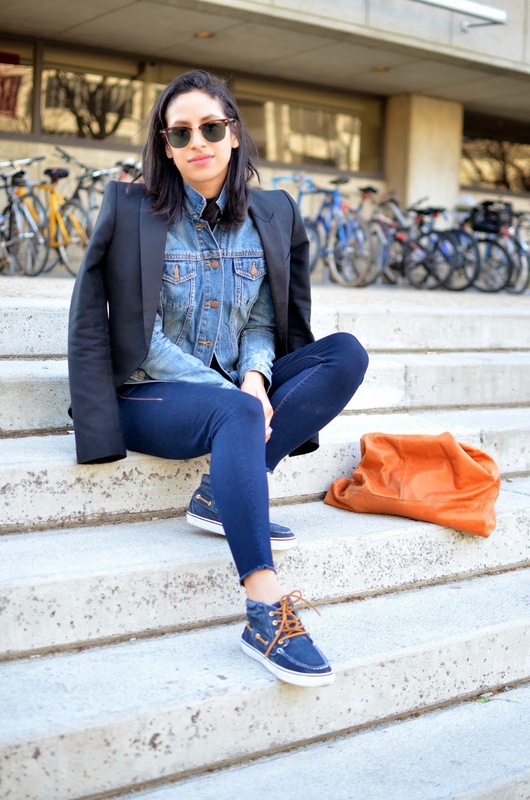 Love the layers and every look is perfection.Looks like you had an amazing trip! It was such a great trip! Thank you!